My wife and 2 of my boys are Fulham supporters, they’re our local premiership club and thanks to a kindly aunt with access to some cheap tickets they are the club they all first visited. How did any of us start? Anyway they were all devastated when the popular Chris “Cookie” Coleman was sacked and replaced by the awful Lawrie Sanchez. 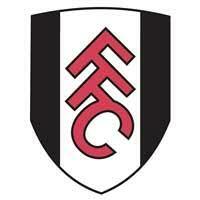 Sanchez’s “I saved Fulham from relagtion” mantra is laughable. The fixture computer ensuring that a week before Liverpools Champions League Semi final they arrived at Fulham with half a team an half an eye on a bigger prize gave Sanchez his only win in half a dozen games at the end of the 2006 – 2007 season. His attempt at rebuilding Northern Ireland in South West London mixed with a desperate long ball game left Fulham relegation certainties before Christmas and Sanchez sacked soon after. The cheer from our house was almost as loud as the cries when Coleman was sacked! The same person who got the last two managerial decisions so horribly wrong at Fulham hoped it would be third time lucky and went for the experienced and much travelled Roy Hodgson . I feel his transformation of Fulham considering how truly awful they were under Sanchez is very impressive. This is why. First job, buy a centre half, Hangerland was whisked over from Norway with 50 international caps and an obsession with heading the ball in his own penalty area. At 6 foot 5 this is something he was born to do and suddenly Fulham were defending at set pieces. Second job, ditch the Northern Irish, Baird, Healy & Davies consigned to the bench only the impressive Hughes alongside Hangerland remains. Third job, (bit of luck needed) get players fit, Bullard and McBride back and playing well. Fourth and most important and most impressive completely change the style of play. Yesterday against Everton, Fulham passed and passed and passed and defended and then passed again until a break got them their goal and they defended some more. Not once did they resort to the Sanchez long ball and give it away tactic. All credit for this must go to Hodgson, as Newcastle under “King Kev” continue their freefall and Bolton stumble under the “Ginger Mourinho” Fulhams next three games see them play Newcastle, Sunderland and Derby which could see them out of the bottom 3.